Tonight it is time for another edition of ‘Het Schimmengebied’ on Radio Tonka from 23.00 till 0.00 CET, with dark techno and the like. 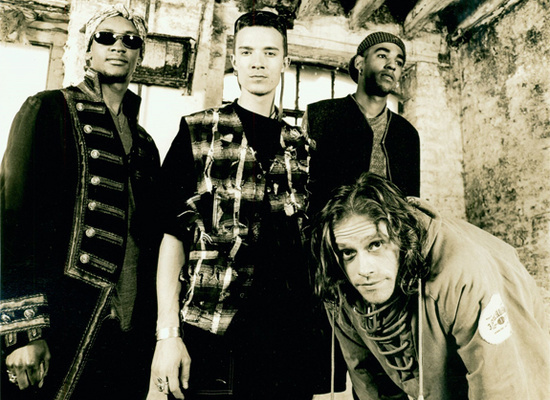 Reflections on the bleak sides of rave and the nineties tonight, with, inevitably, some special attention to The Prodigy and Keith Flint, who has left the earthly realms this past week. Tonight in less then 15 mintues in Het Schimmengebied on Radio Tonka, from 23.00 till 0.00 CET, live via www.radiotonka.org wereldwijd, or 92.0 FM in The Hague. Tonight it’s time for another mysterious edition of Het Schimmengebied on Radio Tonka. And you know what that means. Turn on, tune in and drop out through 92.0 FM in The Hague or http://www.radiotonka.org from 23.00 till 0.00 CET for deep soundscapes and devouring rhythms echoing in the the depths of this gritty night. Tonight it is time for a new edition of Het Schimmengebied. This evening will be dedicated to the terribly misunderstood professor of psychology Jordan Peterson. As you might have noticed, Jordan Peterson was in the Netherlands this week to give a lecture at Room for Discussion at the University of Amsterdam. Peterson has been most well known for his critique of postmodernist left-wing academic culture, and his ability bring tears into the eyes of fragile white boys (and his own) with his advises for organizing ones own life by, for example, cleaning your room more often. For those who do not understand why Peterson’s so seemingly innocent and simple advises has stirred up such great controversy in progressive circles, I will select music and spoken word from a number of artists that themselves have reveled in heartfelt advice for the disenfranchised, such as Boyd Rice, Death In June and Burzum. And last but not least, this show will include a retrospective of the Zeira project, including a guest appearence by Kiran Schatten, one of the original minds behind this project for revolutionary social reform. Tonight, after a month of peaceful quietness, it is time for a new edition of Het Schimmengebied on Radio Tonka with your regular host Duistere Bardo bringing you an unpredictable selection of chilling and frightful tunes. As usual live on 92.0 FM in The Hague and www.radiotonka.org, from 23.00 till 0.00 CET. Tonight from 23.00 till 0.00 CET you can tune in again on Radio Tonka through 92.0 FM in The Hague and www.radiotonka.org world wide, for another hour of dark sounds and thoughts. This evening there will be a special edition of Duistere Bardo’s Het Schimmengebied on Radio Tonka with the incipit of Eline Benjaminsen & Sophie Dyer — RADIO, TECHNO, FOSSIL, a mind-bending publication brought to you by oneacre.online on radiowave politics and geography! Tune in tonight at 23.00 till 0.00 CET at 92.0 FM or www.radiotonka.org to experience this special radio event. Tonight I will return to the visions of terror and destruction channeled in the past few decades through Deathchant, Psychic Genocide, Planet-Mu and other such labels. This time live from 0.00 till 1.00 CET at www.radiotonka.org and 92.0 FM in The Hague. Tonight it is time for another edition of Het Schimmengebied, again, yet, this time, again, with, again, yes, a selection of music you might have heard before, at least some of it, possibly, hopefully, you will enjoy though, from 23.00 till 0.00, on Radio Tonka, 92.0 FM (in The Hague, and around), and www.radiotonka.org. After a short absence, tonight there will be a new edition of Het Schimmengebied on Radio Tonka, with as usual a totally unpredictable selection of gritty, dark and melancholic music, brought to you by yours truly. This time broadcast live from 0.00 till 1.00 CET via 92.0 FM in The Hague and www.radiotonka.org in the rest of the solar system.